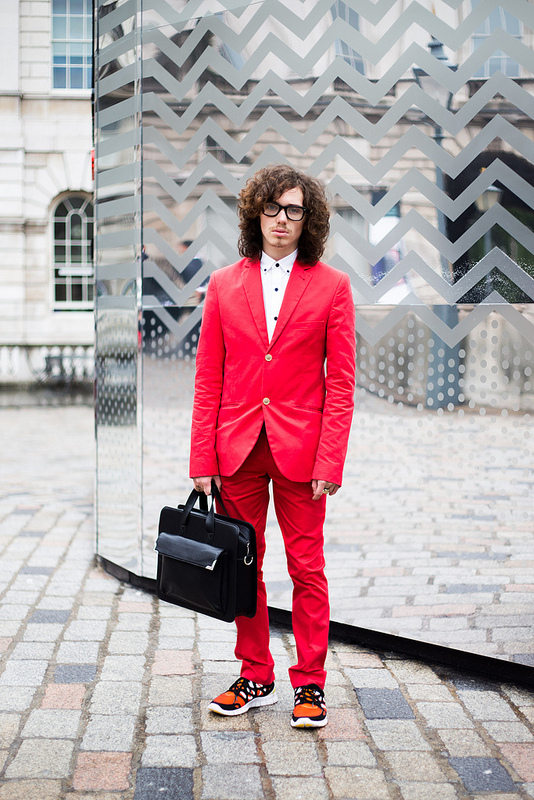 I fancied splashing a bit of colour to the otherwise dreary day and torrential downpour that was September’s LFW. From attending previous Fashion Weeks, i expected a bit more of a burst of colour, but the weather had definitely dampened a lot of spirits, Somerset House felt like a barren wasteland with the lack of people this season which was a touch unfortunate as there were some beautiful collections this year. I would definitely check out his blog if you want to see some beautiful Street-Style photography from London Fashion Week and other escapades. The photo also appeared on the Daily Express online.